The flipped classroom learning model has reached buzzword status in K-12 circles in the past few years, which has made the conversation about technology in the classroom more pertinent than ever. With schools worldwide hard-charging towards a 1:1 student to computer ratio, and teachers converting lectures into take-home video assignments in hopes of making class time a more engaging experience, the gauntlet has been dropped for administrators to equip classrooms with the right technology to support the flipped classroom movement. According to a 2013 survey of K-12 teachers by PBS LearningMedia, most teachers have access to personal computers, but a large majority (68 percent) say they lack the right level of technology in their classrooms. This number is even greater (75 percent) in low-income schools. To address this need, President Obama has requested $200 million in 2015 for programs to help enhance state and local capacity to support transition to digital learning. 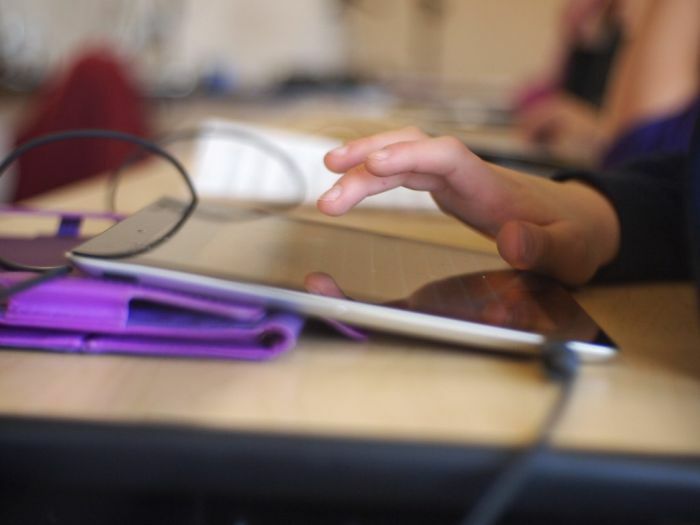 The goal is to connect 99 percent of American students to digital learning tools with next-generation broadband and wireless in their classrooms in the next five years. For many districts, getting classrooms up to speed is a question of getting durable tech at a low cost. Despite government programs focused on bolstering classroom technology, budgets feel more constrained each year, and money is tighter than ever for many schools. In terms of hardware, readying a classroom to enable a flipped learning environment can be relatively straightforward. This list of devices and considerations provides a roadmap for supplying the right equipment for the flipped classroom environment. With per-unit price points in the $200-$300 range, a built-in 3G connection, built-in webcam, and a Web-based management console, Chromebooks make sense to administrators looking for an all-in-one tool that lets students connect from virtually anywhere. Chromebooks resonate with teachers because of access to Web-based management tools like Google Classroom, an online tool which integrates Google Drive™, Docs™, and Gmail™ for assigning and collecting work online. It also provides learning resources like the Google Apps for Education™ suite, which offers students secure access to tools and storage. See also: NeweggBusiness Chromebook solutions . The 1:1 classroom demands an enterprise-grade wireless networking device, given the speed, reliability and throughput required. Centrally-managed network security is tantamount for K-12 infrastructure technicians who desire software-based solutions for managing multiple access points spanning across a school or a campus. Wireless networks managed through the cloud can provide high-performance, high-density, and high-availability requirements that enable seamless connectivity and security across campus networks. With enterprise-grade WLAN solutions, school IT departments are able to define and enforce automated security policies that manage thousands of devices on their network at any given time on any given school day. There is a wealth of resources to learn more about best practices for secure wireless in the enterprise. Many manufacturers publish their own guides specific to their products. Teachers are relying more heavily on classroom projectors at all grade levels, especially high school. There are a few things to consider when choosing a projector. It should cast enough brightness and resolution to achieve a clear picture for daytime, blinds-closed viewing. The most common classroom projectors currently being installed have XGA or WXGA resolution, and a brightness of 2500-4000 lumens. Projectors with a short throw can limit shadow interference and display images up to 116 inches corner-to-corner from as little as four feet away. Most units have adjustable throws which are ideal for placing the projector on a cart or mounting it to the ceiling. In a wireless classroom setting, projectors with the ability to network with computers, tablets, audio systems, and other classroom devices are becoming more desirable. Models that come equipped with software that allows for wireless control of the projector’s networking capability are especially popular with teachers. A great tool for projecting print-based teaching materials in a large classroom setting, a document camera takes the place of an overhead projector and all of those smudged transparent overlays that come with it. Most models can capture two full pages (14 x 19-inch) and have a zoom feature for viewing detailed science, art, and writing lesson materials. Newer document cameras interface via USB to a computer or projector. Many teachers now utilize a document camera to make paper grading videos in a flipped classroom environment. By recording verbal critiques with the student’s paper under the document camera, the teacher creates an easy-to-follow evaluation that is more digestible than the traditional red ink mark-ups and margin comments. Additionally, the video is able to be shared in a classroom setting should the teacher wish to use it as an example. Uneven, low-quality audio that results from using a computer’s internal microphone to record a lesson or a lecture may detract from the level of attention a student dedicates to it. A desktop USB microphone is a useful tool for recording quality audio, combining podcast-grade audio clarity with plug-and-play operability. Desktop condenser microphones are a popular choice for educators, as they offer low distortion, high fidelity, and balanced frequency response. Many models can be found at a competitive price point under $150. While computer devices, wireless networks, and peripherals are powerful learning tools, the number one resource for students is still the teacher. It is still up to educators to engage students and enable them to apply the technology towards a process of learning, and for that, it is imperative that teachers themselves are equipped with the proper training on how to use classroom technology. Surely, having the right technology in the classroom is only the start of optimizing the flipped learning environment in schools; teachers must lead the charge to adapt new devices and techniques aimed at giving students more control over where, when, and how they learn. Photo by Lexie Flickinger, taken from Flickr Creative Commons.